Emulsions are, strictly speaking, a mixture of two otherwise unmixable substances. Photosensitive emulsions are used in the screen printing process to create the stencil by covering the non-printing area of the screen. Alpha E-20 is a dual-cure, extreme resolution emulsion designed to deliver fine line widths down to 20 µm when proper mesh types are used. Use of Alpha E-20 with polyester mesh is not recommended. Alpha E-50 is a dual-cure emulsion with solvent, water, and UV ink resistance and outstanding abrasion resistance. It can achieve 50 µm lines and spaces when used with correct mesh type and thread count. 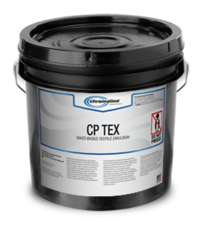 CP-Tex is a diazo-sensitized direct emulsion for use with discharge, water-based, and plastisol inks. It exposes fast with a high resolution and has a high solids content of 42% after sensitizing. Economically priced, CP2 is a diazo-based photostencil emulsion ideal for small textile and graphics shops. CT-R, designed for use with plastisol inks, is ideally suited for textile printers using direct emulsions who are seeking a faster exposing, fast drying and high solids emulsion. ChromaLime is a new pure photopolymer emulsion that is compatible with UV LED as well as traditional metal halide exposure units. ChromaTech PL emulsion’s high solids offer good buildup with fewer coats, saving time and providing more screens per gallon. ChromaTech PL speeds up the entire process: coating, dry times and exposure speed. 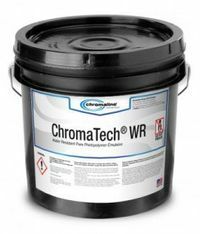 ChromaTech WR is a new water resistant pure photopolymer emulsion ideal for textile printing. 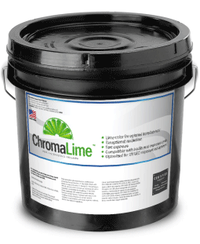 ChromaTint is an aqueous emulsion dye designed to add color to clear Chromaline emulsions for ease of use. D-2 is a transfer emulsion containing a special sensitizer tailored for maximum performance. 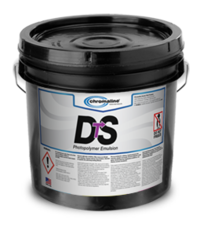 DTS Z1 Photopolymer Direct Emulsion is designed for use with direct-to-screen applications. 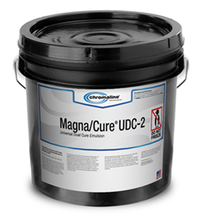 UDC Glide dual cure emulsion is designed for the widest range of imaging applications. UDC-ACE emulsion offers excellent resistance in any imaging application. It is designed to work as a traditional or automatic coating emulsion. UDC-HV emulsion has high viscosity for easy coating on low or high mesh counts. Additionally, UDC-HV offers excellent resistance to a wide range of inks and additives. MAX-R emulsion offers unmatched maximum resistance, maximum image quality and maximum durability. It is heat and humidity resistant, allowing for excellent imaging. Razor 8X, with ultra-fine particle size, is specifically engineered for extremely fine imaging and sharp line edges. It is developed with new technology, allowing for excellent definition. Razor Fusion, with ultra-fine particle size, is specifically engineered to accommodate extremely fine imaging and sharp line edges. It has excellent resolution capabilities and the fastest possible exposure time. For improved solvent and moisture resistance, add diazo to convert Razor Fusion to a dual cure emulsion for maximum stencil durability. Spike CT-420D photopolymer emulsion is designed to optimize at the 420 spectral point, allowing for fast and accurate exposure. FOTECOAT 1019 is a fast, dual cure, diazo photopolymer screen process emulsion. It has a separate diazo sensitizer powder for co-solvent ink systems. This very high solvent emulsion is specially designed to be printed with aggressive, solvent based inks. It is ideal for half tone and fine line printing and is universal with a medium viscosity and solids content of 35 percent. Additionally, the emulsion is not sticky, so it is ideal for all P.O.P. materials including those which create static. Suitable for inks that contain NMP, DMAc, BLO, etc. FOTECOAT 1030 is a low friction, dual-cure emulsion. It is ideal for textile, graphic and industrial applications with long print runs. Its controlled particle size results in excellent print definition on any mesh. FOTECOAT 1030 has a medium viscosity and a 39 percent solids content. FOTECOAT 1072 is a fast, dual-cure, diazo-polymer screen process emulsion with separate diazo sensitized powder. 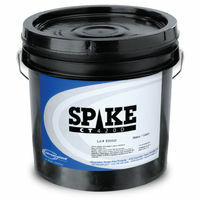 It is used for general graphic printing applications. 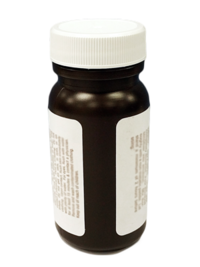 This purple emulsion has a solids content of 34 percent after sensitizing. FOTECOAT 1076 is a fast, dual-cure, diazo photopolymer screen process emulsion for solvent-based ink systems. It can be used for the finest line printing, including industrial printing applications that require very high resolution. Also, after developing, the stencil is very hard with low swell characteristics. FOTECOAT 1458 is a very fast exposing, solvent resistant emulsion designed for use on computer to screen direct exposure systems. It is easy to reclaim without leaving any residue, even with low pressure washing. FOTECOAT 1458 is blue in color and has a 33 percent solids count as well as a medium viscosity. FOTECOAT 1636 is a fast, highly water resistant screen emulsion with a separate diazo powder sensitizer. It can be decoated with high-pressure water. FOTECOAT 1636 is a violet color with a 42 percent solids content. FOTECOAT 1811 is a ready-to-use emulsion with medium exposure time and outstanding exposure latitude on dyed mesh. The emulsion offers good coat ability as well as excellent reclaiming. It can be exposed with almost all light sources and has superior wet-hardness after washout. Attention must be paid to environment light—avoid day or stray light. It also has a 34 percent solids content. FOTECOAT 1833 is a blue, ready-to-use emulsion with outstanding abrasion and humidity resistance. It should be post-exposed to improve water resistance for long print runs and does not require chemical hardening. FOTECOAT 1833 has excellent print definition on any mesh. It is high viscosity and has a solids content of 45 percent. DC 565 is a premium, universal, red dual cure photoemulsion intended for all extreme textile and graphic printing applications. With medium viscosity and an extremely high 46 percent solids, DC 565 yields high stencil buildup with low Rz. It offers superior resolution, wide exposure latitude and outstanding performance. PC 787 Universal Photopolymer Emulsion is a new advanced product featuring fast exposure times and extreme durability. Additionally, PC 787 offers superior resolution and mesh bridging, easy reclaim without staining, and extended shelf life.